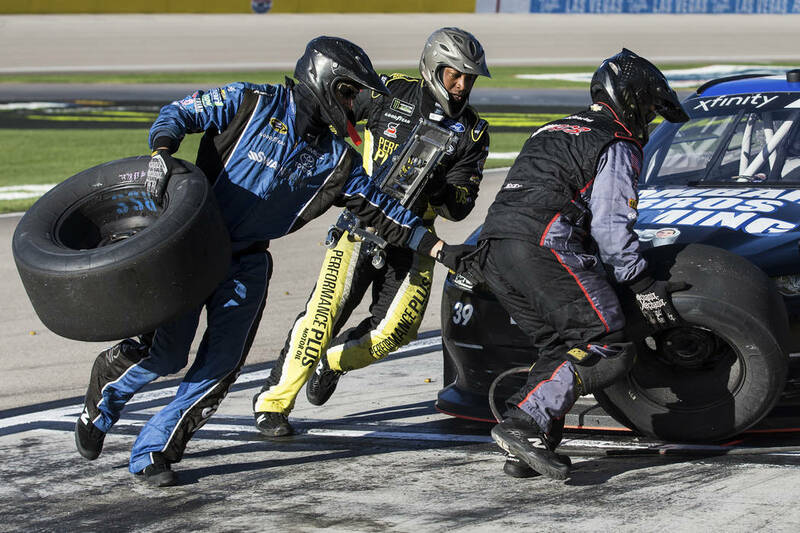 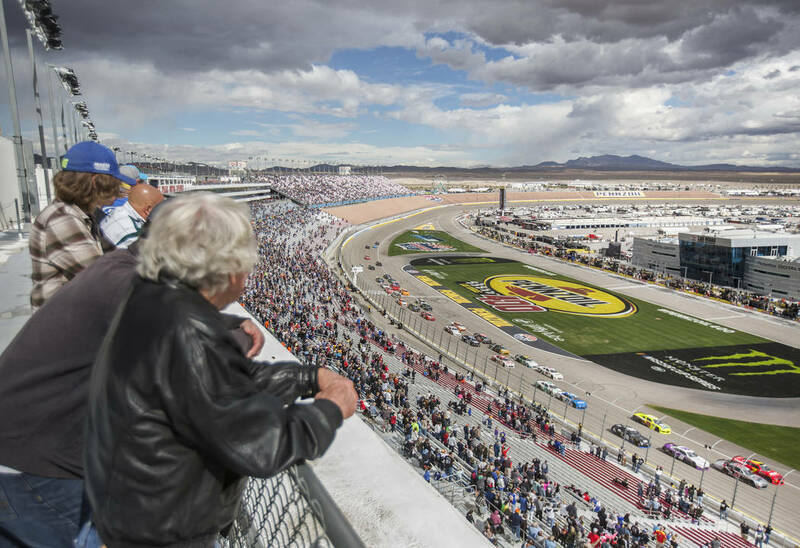 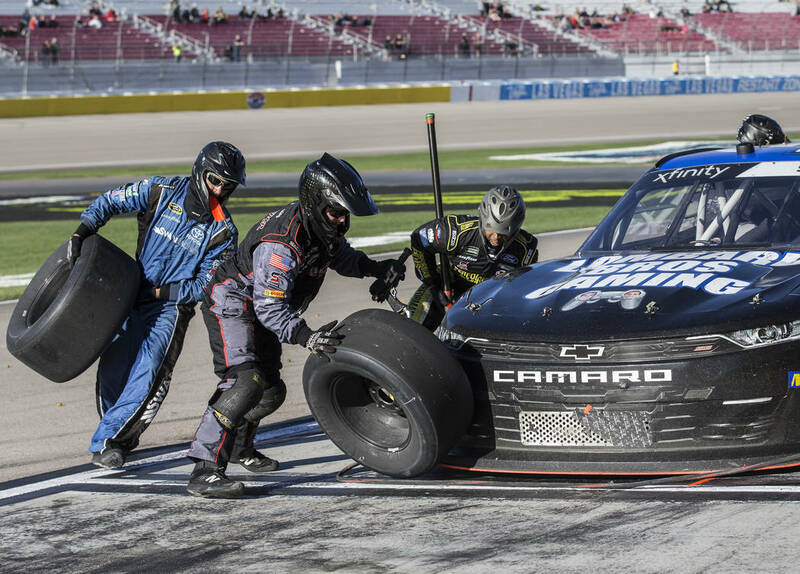 Not even an unscheduled pit stop for a loose wheel, falling a lap down and an evil-handling car could deter Kyle Busch from making more merry rounds during Saturday’s NASCAR Xfinity Series Boyd Gaming 300 at Las Vegas Motor Speedway. 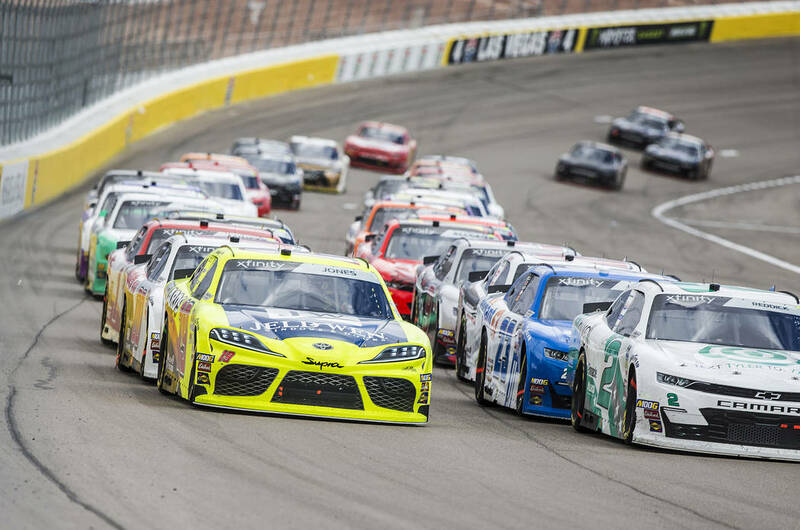 It would have been hard to tell the way he charged back to the front to lead a race-high 98 of 213 laps on a day that went from wet to sunny to overcast to breezy. 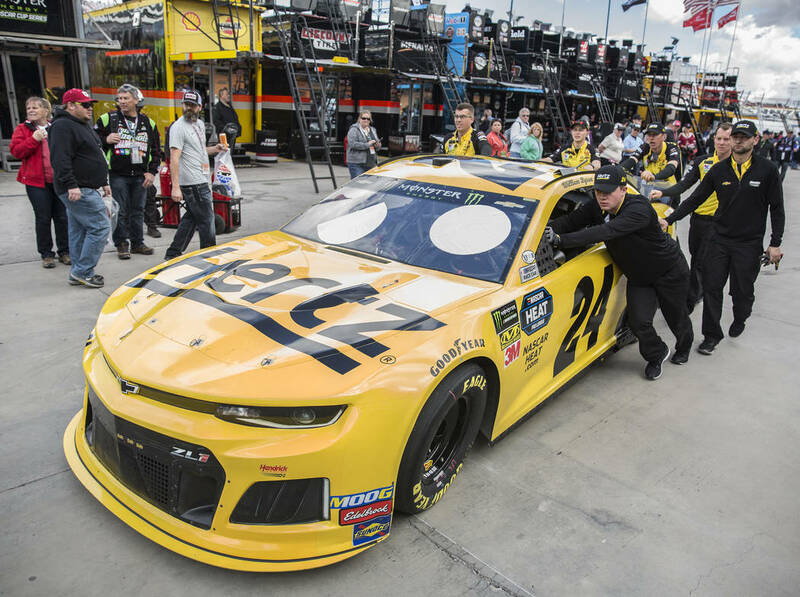 Saturday’s qualifying session was canceled after an early morning shower, with the field being aligned by owner’s points. 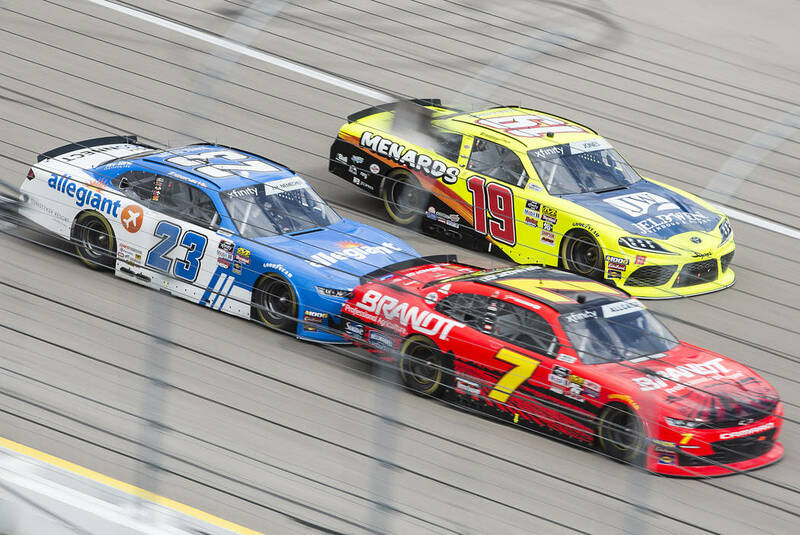 Busch, who started eighth, momentarily gave up the lead to Christopher Bell with 19 laps to go but took it right back when Bell collided with Tyler Reddick. 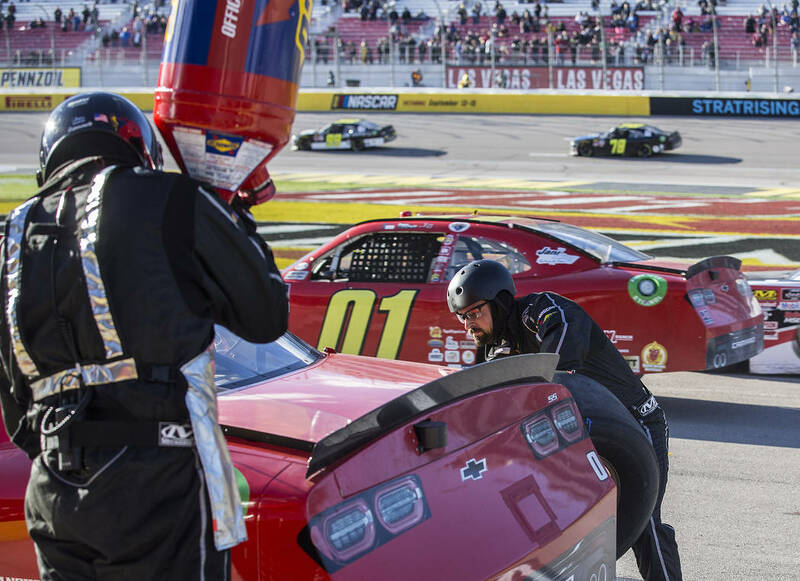 John Hunter Nemechek, driving a Chevy owned by Allegiant Air CEO Maury Gallagher of Las Vegas, finished .192 of a second behind after briefly putting a nose in front of Busch after a second overtime restart. 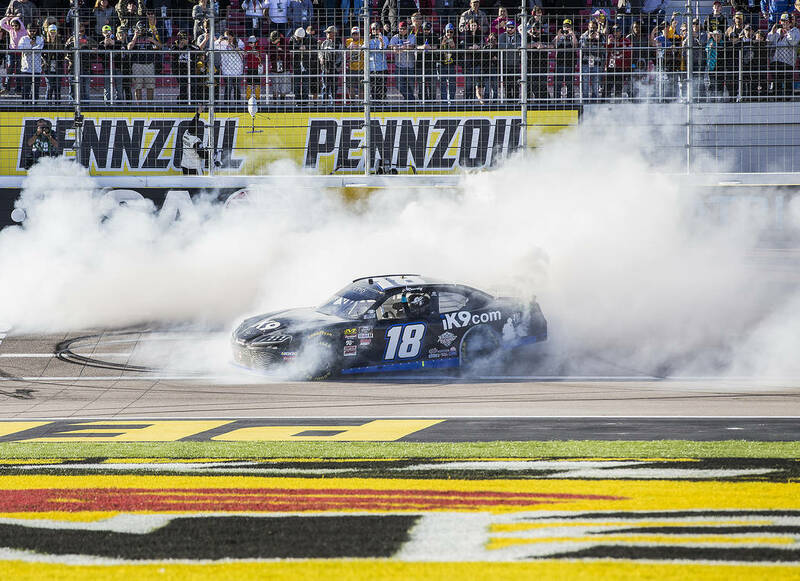 Having also won Friday night’s Truck Series race, Busch will be shooting for a LVMS sweep in Sunday’s Pennzoil 400. 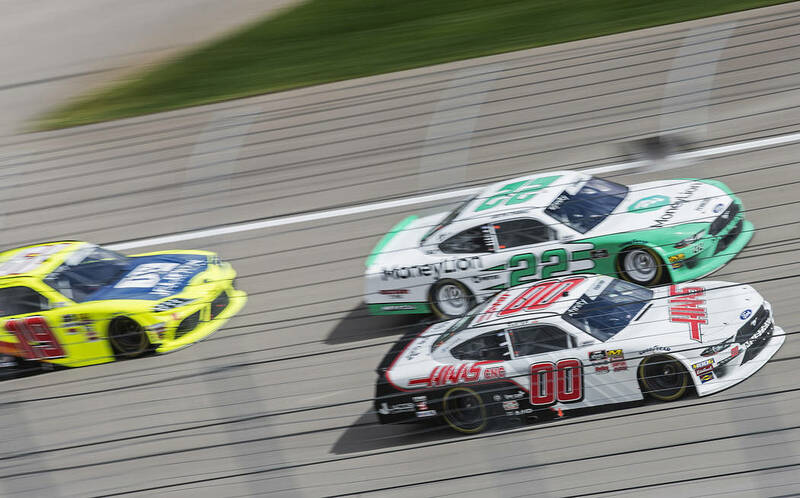 He is the only driver to have won Truck, Xfinity and Cup races on the same weekend, having accomplished the feat at Bristol, Tennessee, in 2010 and 2017. 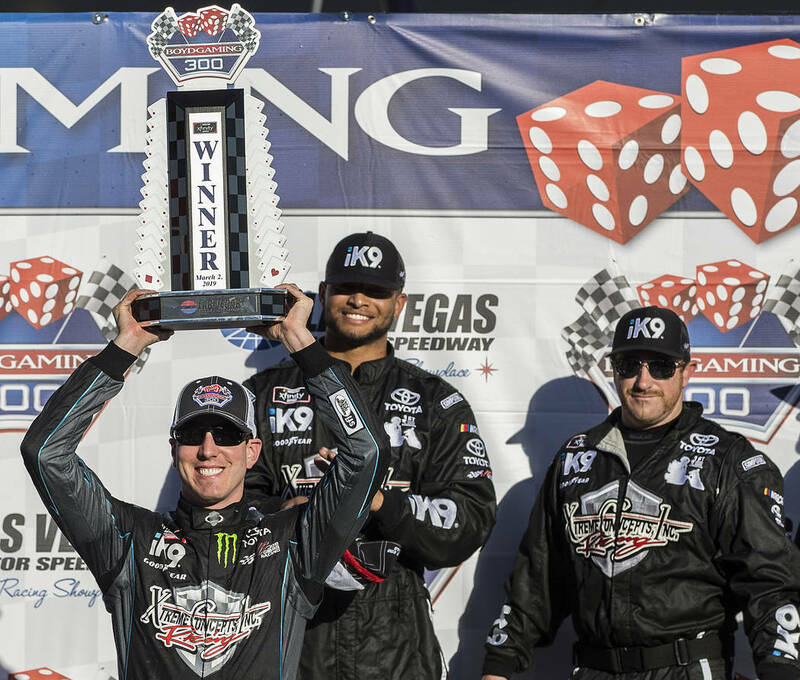 “I feel that Vegas is one of the more challenging ones,” Busch said about the best tracks at which to win the trifecta. 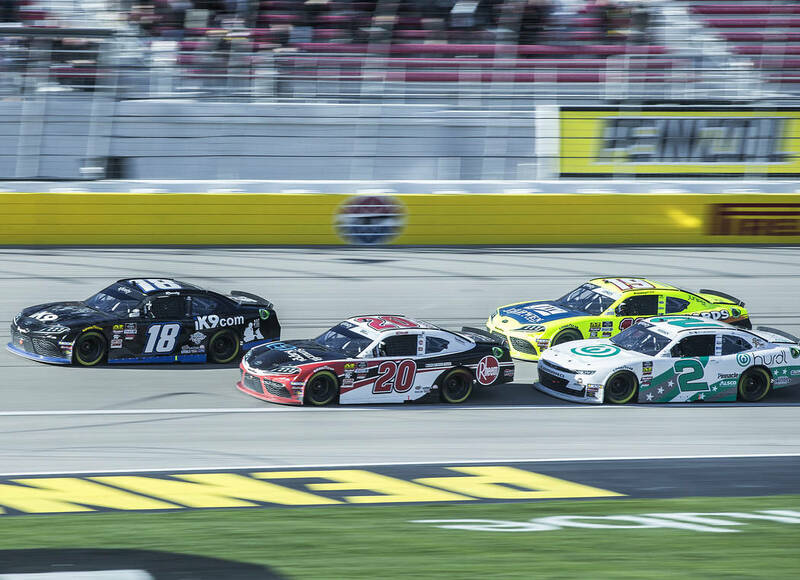 “I’m not great here on the Cup side. 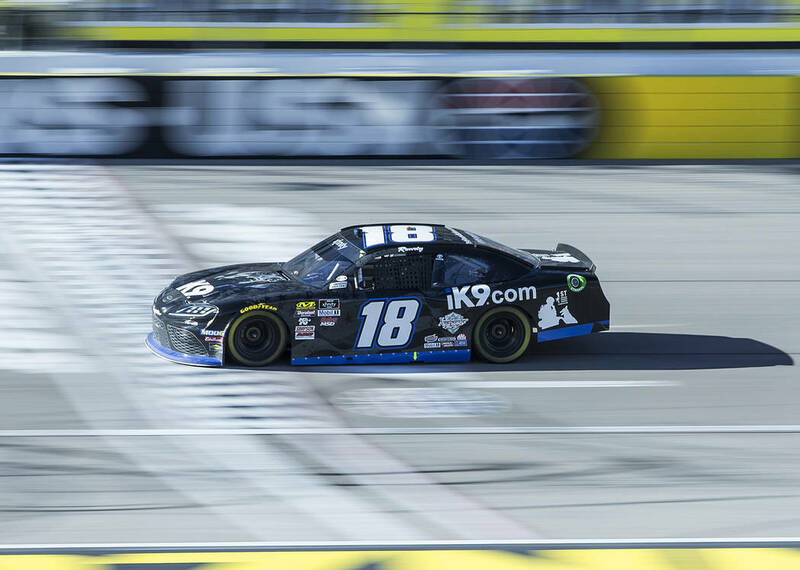 Rookie driver Noah Gragson of Las Vegas continued to straighten his Xfinity Series learning curve, persevering for a third-place finish in his third race driving for Dale Earnhardt Jr. 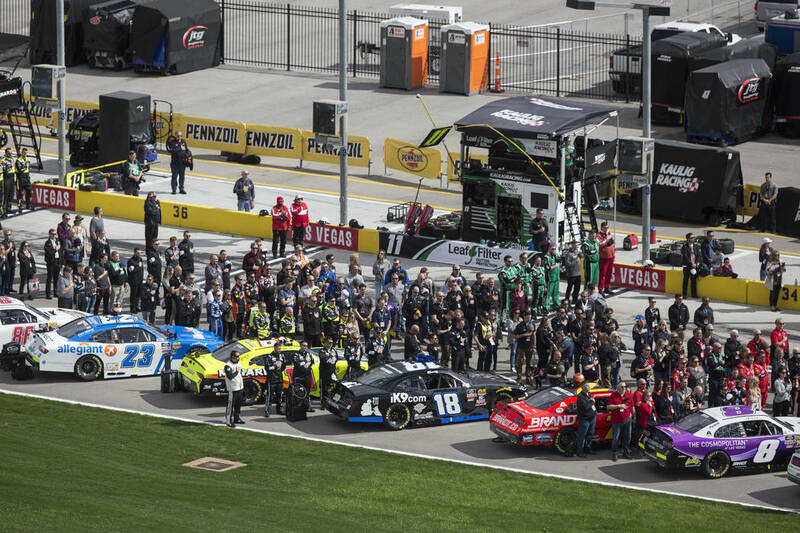 If Saturday’s final Cup Series practice was any indication, race fans are in for an exciting show in the Pennzoil 400. 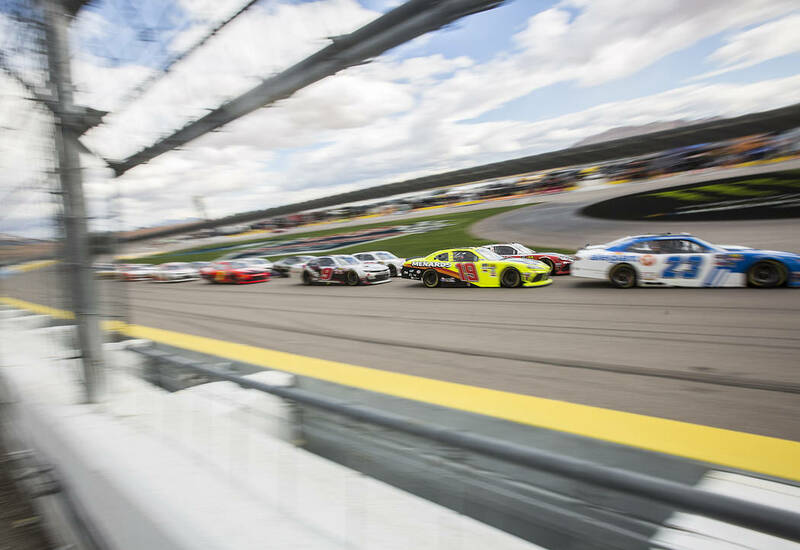 The session featured three-wide racing and lots of dicing and maneuvering for position as the drivers continued to experiment with NASCAR’s new high downforce rules package. 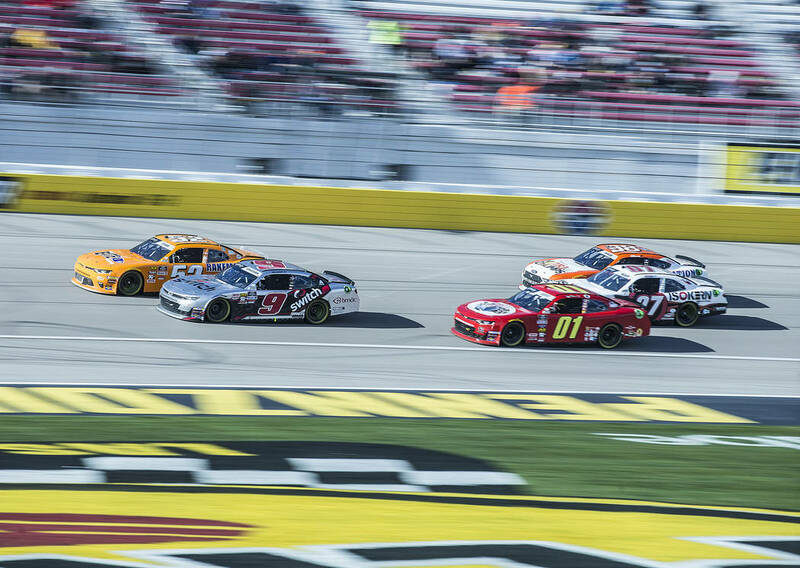 “Three-wide in practice? 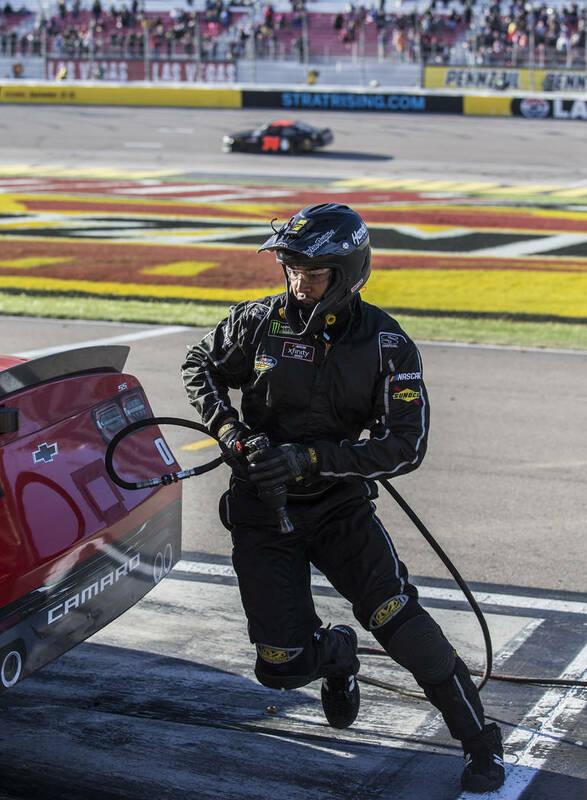 Oh, my!” raved four-time NASCAR champion Jeff Gordon in the Fox broadcast booth. 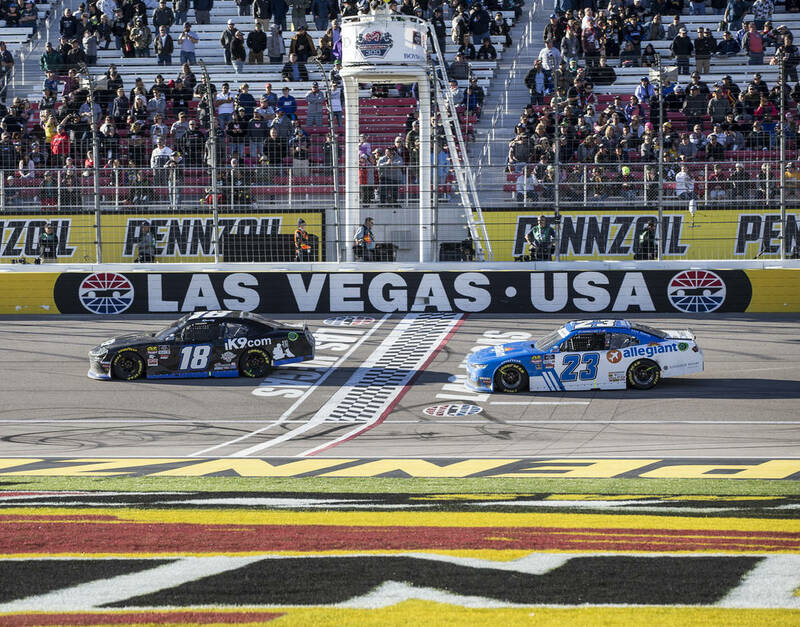 The record for lead changes in a Las Vegas Cup Series race is 28. 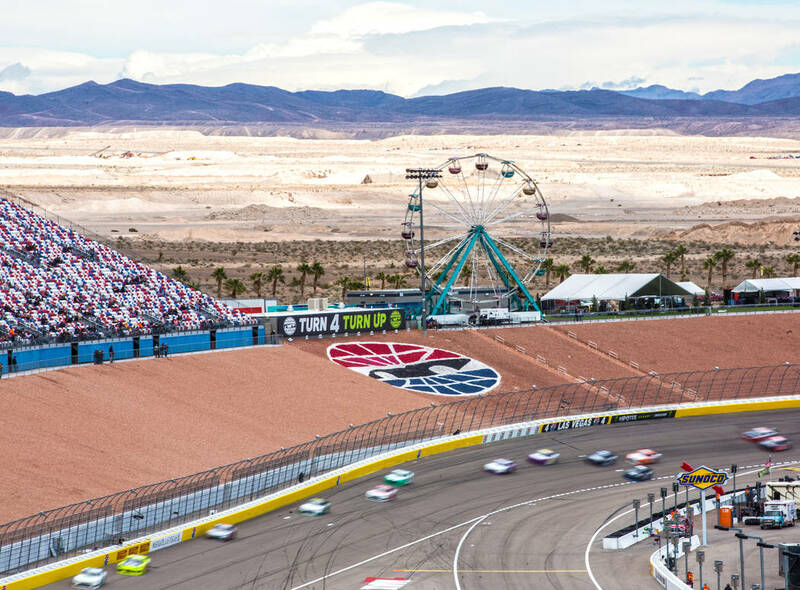 Darrell Waltrip, Gordon’s sidekick, said he was going to boogity, boogity, boogity to the nearest casino to bet the over.